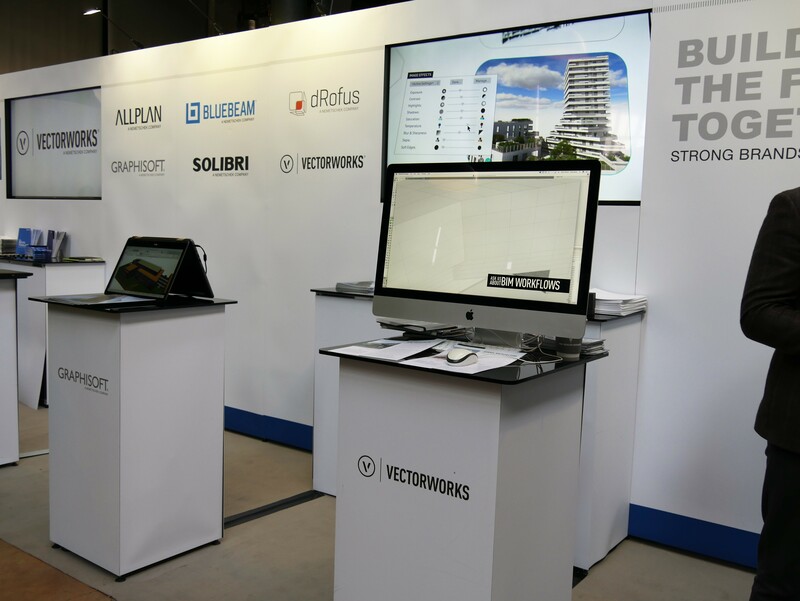 The Vectorworks setup at BIM Show Live 2019. Photo courtesy of Tobias Rieger. At the show, Horne was part of a panel where he answered questions about the future of BIM. His insights help illustrate the unique power and sophistication BIM offers to designers. We’ve recorded the questions and his thoughts below. “I” in terms of product data. The alphanumeric text held in digital records or fields assigned to BIM objects (whether in authoring software, model checkers, and/or FM databases). "I” in wider terms of the information used and extracted from the design process itself. This data may be used to inform decisions. It may start at the earliest stages and include information fed into programming stages, such as circulation data or adjacency matrices for space planning; it may be geographical data coming from GIS systems; or it may be visual data, or “data visualization,” the ability to present the increasing amount of information in better ways within our design packages. We’re heading towards digital transformation, smart cities, and the Internet of Things — and BIM will be a part of that, but the future will be more than BIM. The reality is that the processes defined within even the latest standards cover a fairly narrow field of construction and, to some extent, facilities management. Digital transformation refers to a much wider project within both design and society at large. It points to a profound transformation of our processes and the tools we use and is in part driven by the accelerated amount of data at our fingertips on a daily basis. Smart cities and the Internet of Things are examples of this wider digital shift, where technology we use to harness efficiencies in areas such as energy consumption, quality of life, and economic development. The data is a “golden thread” which flows through a feedback loop of design-development-construction-analysis-design. Vectorworks is a company which feeds on design and as such is uniquely positioned to provide more than BIM in this changing industry. While a project participant may have some level of BIM experience, their mindset could be said to be closed or constrained and not open to the true collaborative potential of the tools available to them. How will BIM affect products and business going forward? The reality is that BIM is more than technology because it also includes processes and people. The U.K. has been at the forefront of leading this recognition, with its development of the BS1192 BIM standards, the BIM Level 2 mandate, and also now the conversion of the same national standards into the international ISO EN 19650. Our digital practice team at Vectorworks works with our customers to advise how they can make this transition, and it involves the same combination of technology, people, and processes. Our aim is to show how digital transformation takes us beyond the narrow definition of BIM toward more information-driven design. 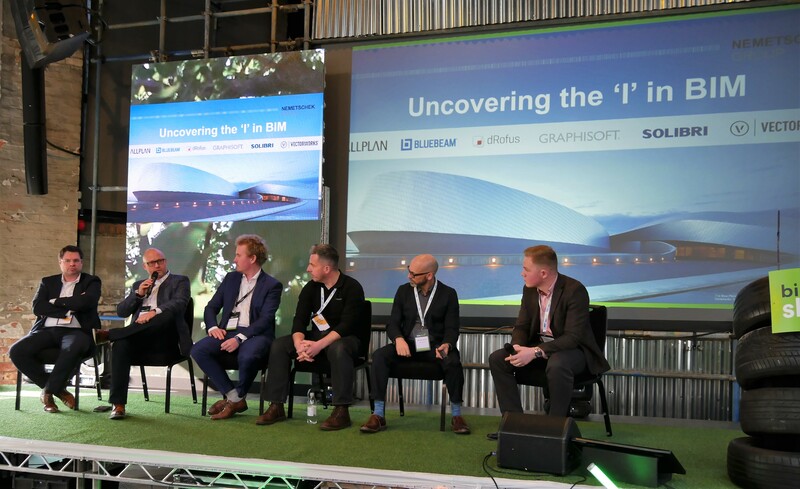 The "Uncovering the 'I' in BIM" panel. Photo courtesy of Tobias Rieger. Are consultants getting better at providing IFC models? I think there's still a tendency and a lack of planning in terms of exchanging information. There are still plenty of examples of old silo-based approaches where information is simply chucked over the fence. Silos describe an old approach whereby project teams from different disciplines do not share information with each other, either because they do not have the technological means or the processes in place to facilitate such collaboration. Any sharing of information that did take place was very seldomly structured to benefit the entire project and instead was simply passed in its entirety down the line, when a more organized approach would have created a more streamlined passage for the information. The IFC schema, in league with common data standards, provides a mechanism for a better approach; and yes, consultants are getting better at providing such models. 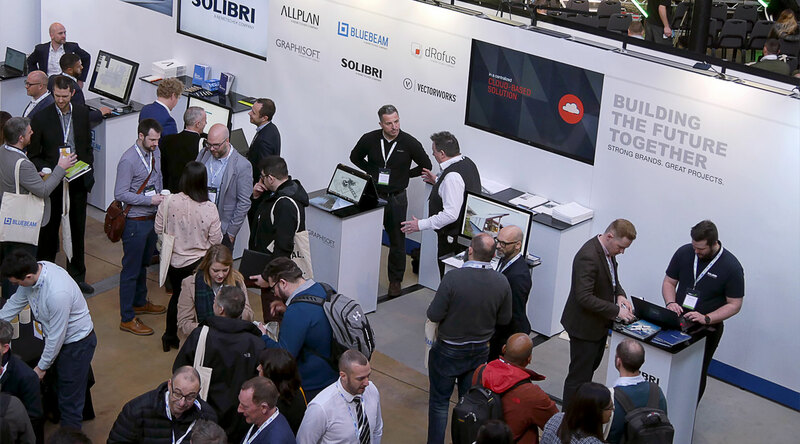 I think as an industry, we still struggle with getting standardized data from manufacturers, a fact recognized in the state of the nation report entitled a Fresh Way Forward for Product Data from the UK BIM Alliance. There is still a way to go on this front, but initiatives to create a more unified approach, such as the UK’s Product Data Template, are underway. A successful outcome to this would help close the data feedback loop mentioned earlier. As technology vendors, Vectorworks fully supports common data standards, as they allow us to provide out-of-the-box solutions for our users. IFC certification, COBie, and NPS are just some of the examples of the certified schemas and standards we support out of the box. How important are standards and compliance on everyday projects? We absolutely work hard on standards and compliance. From our perspective, standards are great because they mean we can put items into our software straight out of the box (file naming, sheet naming, classification, not to mention schedules and reports). We’ve been able to tag data to objects for 20 odd years. The real revolution with BIM is not the tagging of data to objects, but the standardization of both the data structures and the delivery systems. Previously, we had to customize the records and schedules because every customer wanted it slightly different, but with common data, with a commonly accepted structure, it’s all right there. For example, because there’s a standard to work around, we’ve been able to add COBie preflight schedules into our native authoring software and to include them in the IFC output. Will the “I” become a problem as models get heavy with data? Is information more important than people and processes? The big “I” could become a problem in certain data-heavy models, but we have tools in our software that optimize data. There are other projects going on to address this, which are referred to in the UK BIM Alliance’s recent report into product data. Regarding people and processes, I think it goes back to what I said earlier about the narrow definition of BIM. There’s a tendency, still, to view BIM simply as a piece of software. It’s not there to remove people; it’s the opposite, if anything. How are you seeing the demand for information from the client impacting your customers and how are they dealing with the need for more better-quality information? I think there’s still a lot of confusion about the level of information people actually need. Again, that information could be split into two parts. First, the information relating to specific manufacturer products. I think there is a lot of work to be done in that area. Second, the information that can come directly from the BIM: volumes, areas, quantities, etc., and dare I say it, accurate drawings, where the plan, the section, and the elevation contain the same info, because they are live from the model. Are project owners starting to understand what information they require to manage their buildings and landscapes going forward? The more enlightened clients, yes, although it's still in the early days. The most common mistake from the client’s perspective is to dictate the format in which the BIM model is created rather than concentrating on the actual data they need. The reality is that most clients and facilities management teams require information in different formats. So, my advice to clients would be this: Let your architects choose the software they want to use to design their best buildings, and let your facilities teams choose the software they want to manage those buildings — and share the information using common file formats and data standards, such as IFC. I really feel that the more projects we see doing this, the more streamlined the processes will become and the better the buildings and landscapes will be across the board in terms of design, construction, and operation. What impact has the explosion of information requirements had on your software solutions, and what changes, if any, have you had to make to incorporate those market needs? Simply put, we have made it more sophisticated — it’s both more intelligent but at the same time simpler to manage. Whether it comes from IFC, external spreadsheets, or internal native records, the transparency across the data has increased, but so too has our ability to manipulate it. And coming back to my earlier point, this applies not just to alphanumeric text, but also to our geometry both in terms of how we can use information to control or create geometry, and in terms of how we can extract data from that geometry for data visualization. Learn more about how BIM empowers designers.